“Dolce” . . . How Sweet the Sound — Sewing Seeds Quilt Co. Introducing our 2018 Row by Row Experience Project! Featuring hand-dyed wool applique on a cotton background, “Dolce” measures 18 inches square and will make a lovely wall hanging, throw pillow or block to use in your Row by Row quilt. 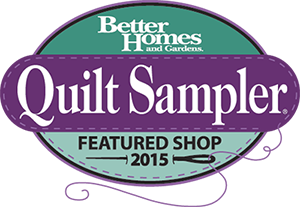 Ask for a complimentary pattern when visiting us in person between June 21 and September 4! Kits will be available in-store beginning June 21 . . . and on-line/by phone beginning November 1. Kit price is $28.99 and includes a pattern, hand-dyed wool for applique and fabric for top and binding. Backing and Valdani threads may be purchased separately.